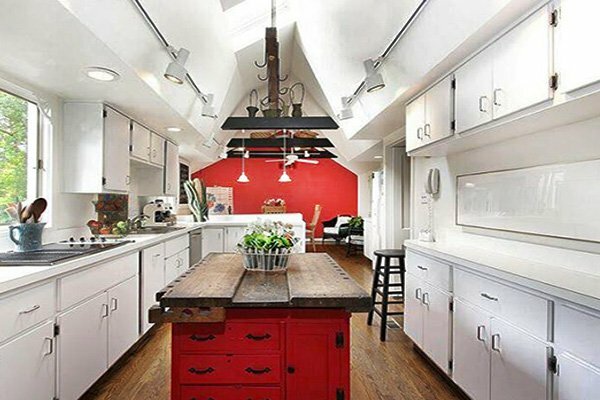 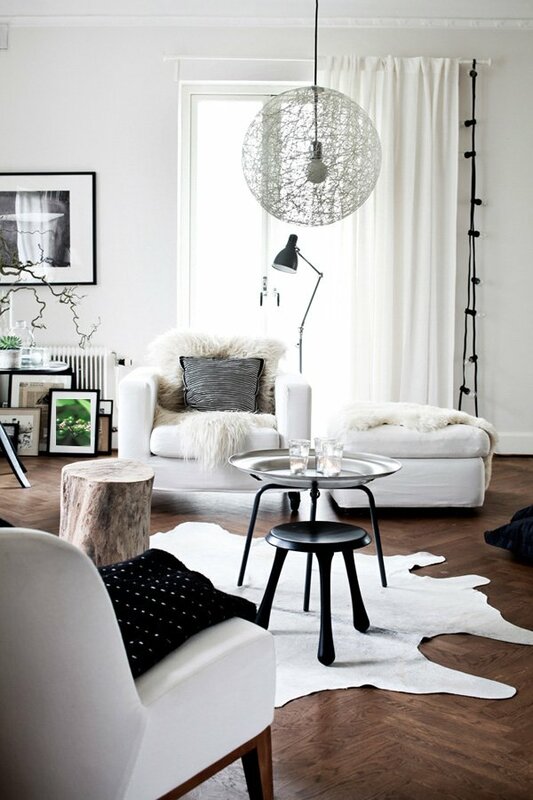 Decorating in black and white is bold and chic, and these contrasting colors work wonders in home decor. 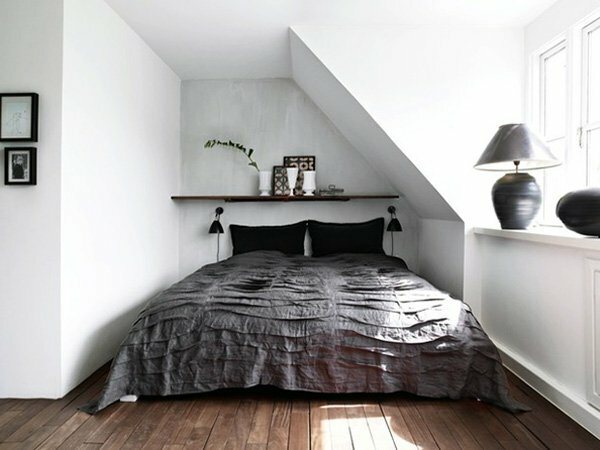 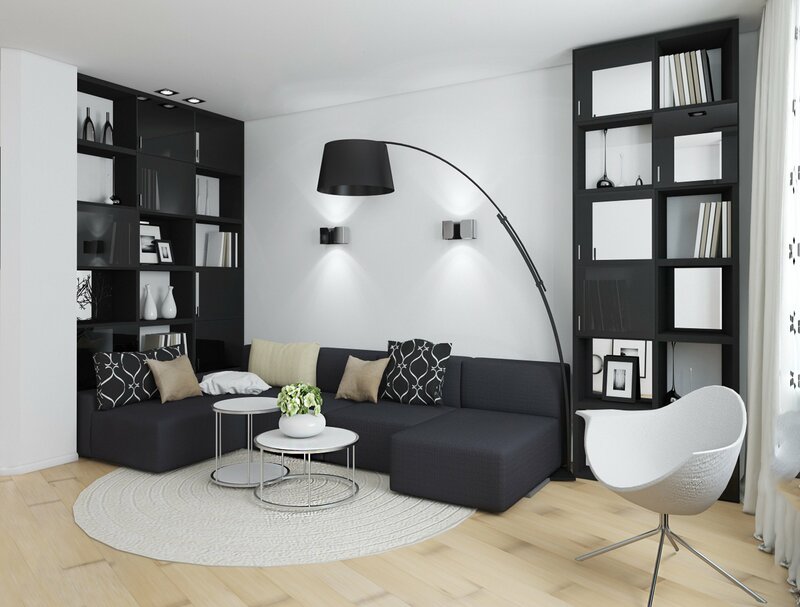 Since simplicity is THE trend right now, using black and white in your interior design could not be more appropriate. 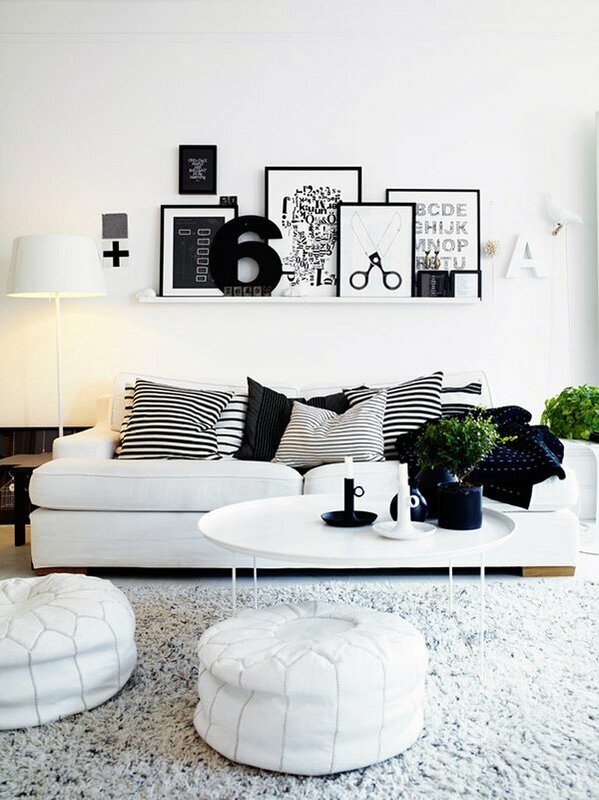 The harmony of black and white is indisputable, and creates a simplistic elegance with dramatic effects when used in home decor. 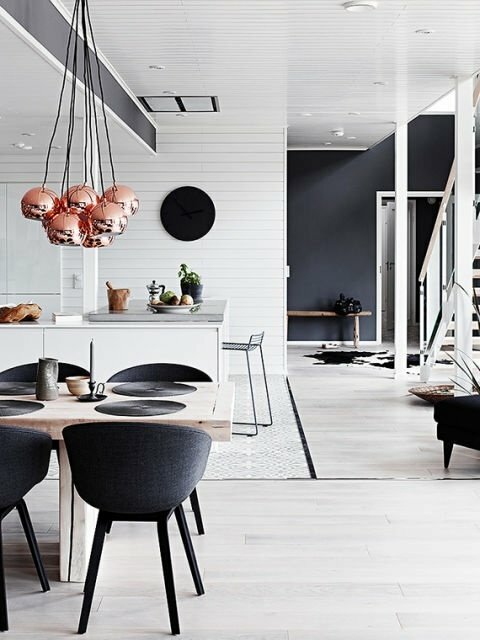 This color combination creates a fantastic atmosphere with a fresh, contemporary touch; and being able to play with black, white and shades of grey offers a sophisticated look. 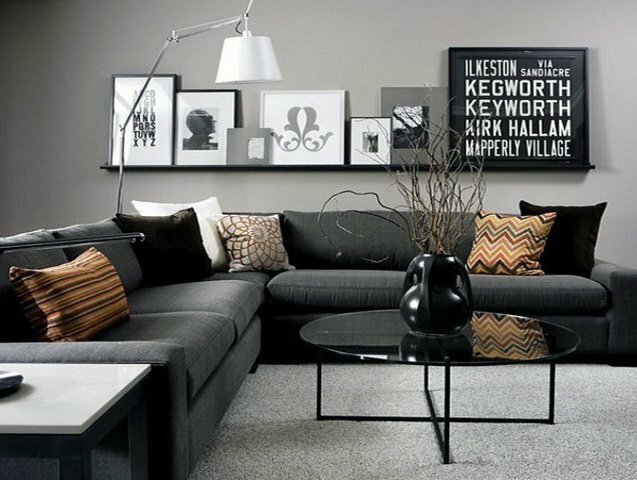 Graphic patterns go brilliantly well with monochrome design, so fell free to use geometrical patterns, or stripes to create a timeless and modern space. 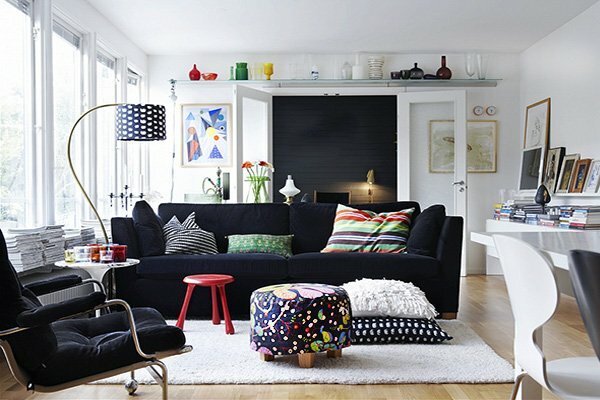 You can also add some fun touches to create a sophisticated dynamism with colorful pillows and accessories. 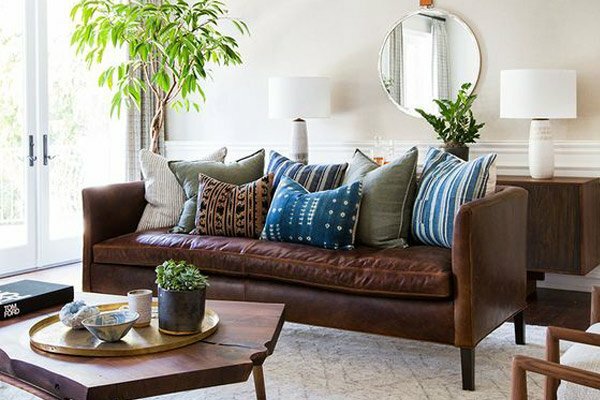 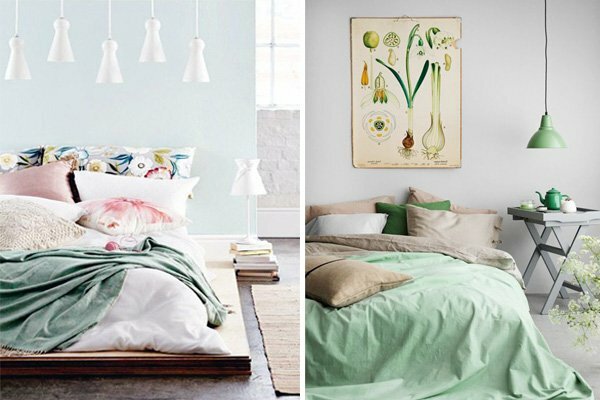 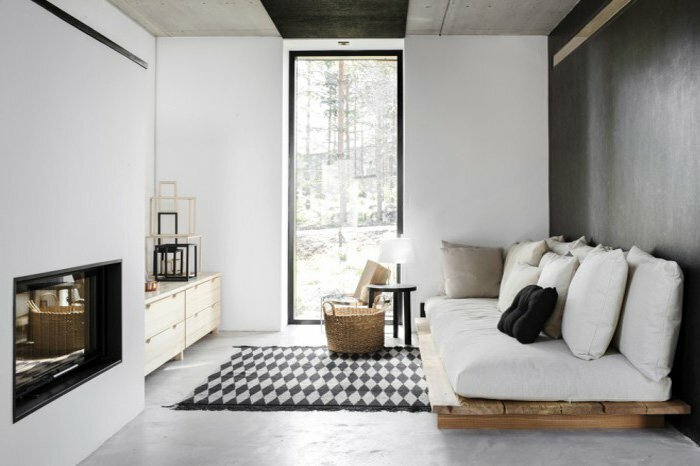 You can add some natural elements such as a wooden table for the living room or a wooden bed for the bedroom decor if you think this paired down palette creates a cold space (though it does not!). 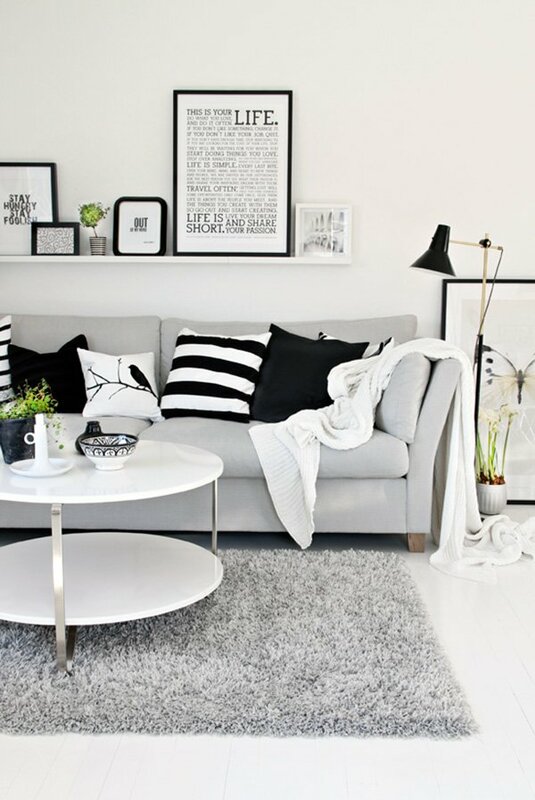 You do not have to go crazy on both colors; you can create a soothing space by using white heavily and adding some black and grey shades with your accessories, or furniture, and achieve amazingly beautiful results. 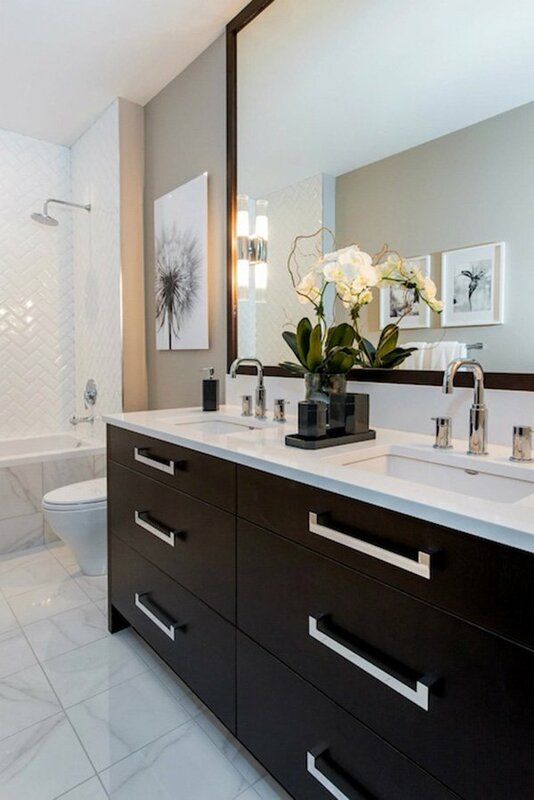 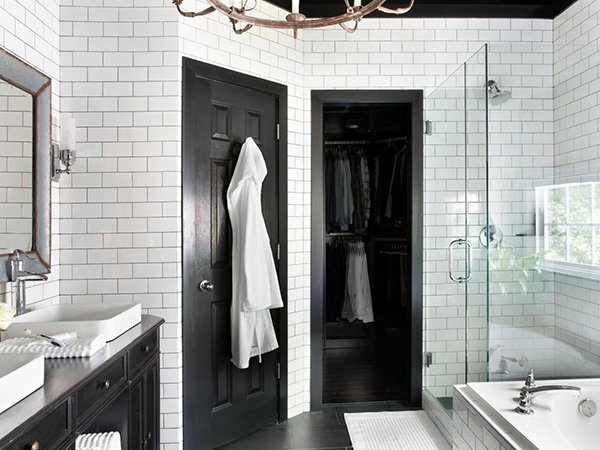 One of the best spaces to use black & white design is definitely the bathroom. 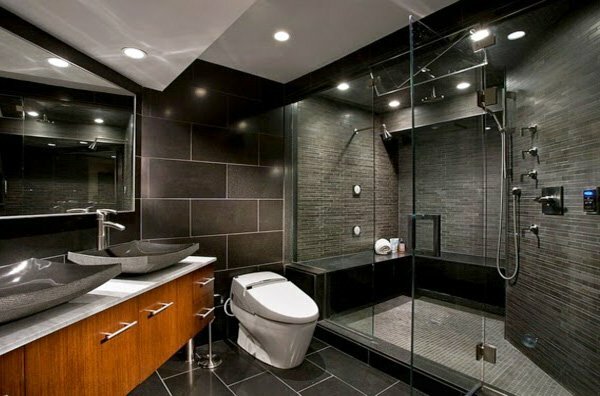 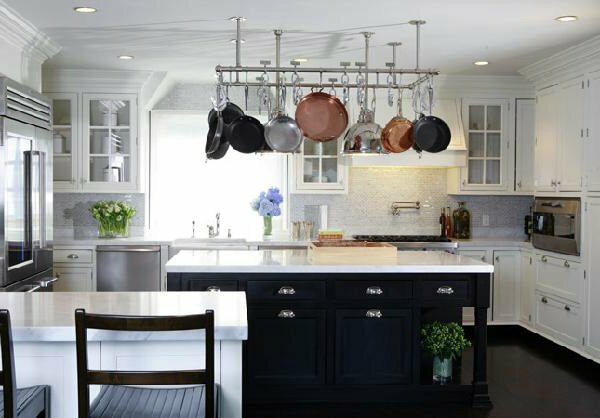 You can use black bathroom cabinets against white walls and on white floors or carpets to create a chic, bold space. 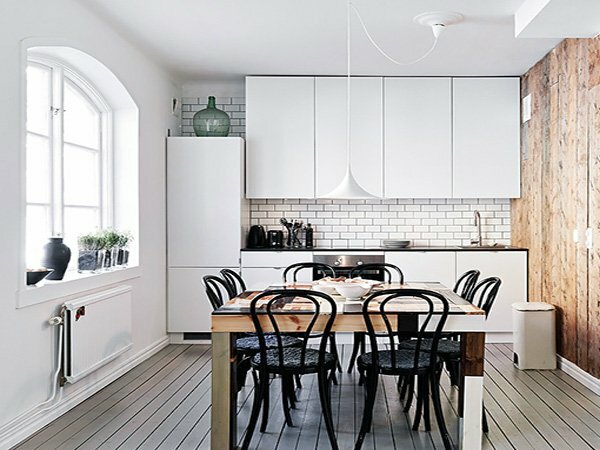 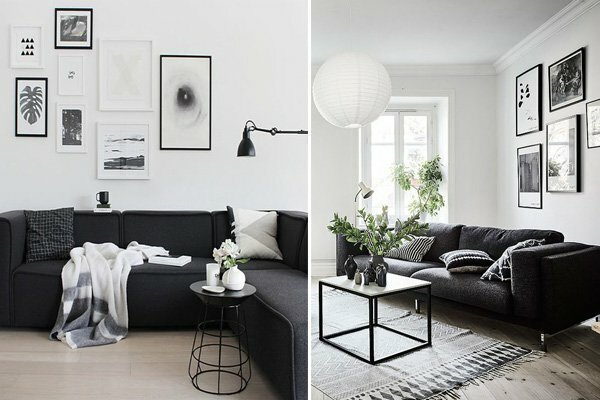 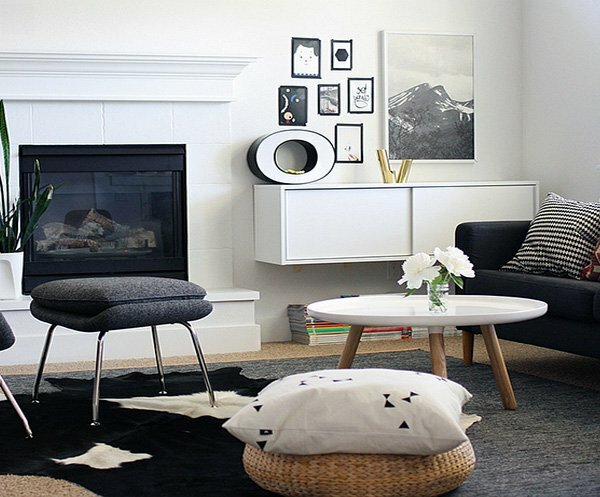 If you’d like to take the advantage that black & white home decor offers, and create a relaxing, simplistic, and stylishly sleek space, go ahead and take a look at these wonderful black and white home decor ideas!